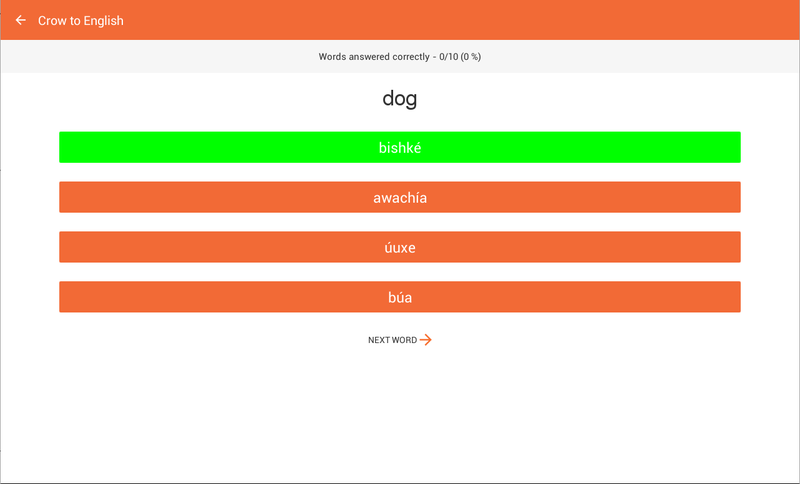 Introducing the new Crow Vocab Builder – Play your way to better Crow vocabulary skills! This FREE app is now available for your Android or iOS device at the Google Play Store and the Apple Store. A fun, interactive, new way to learn Crow! 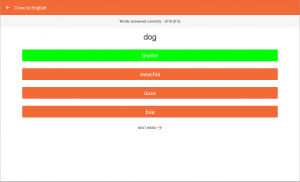 Build your Crow vocabulary with this FREE vocabulary game for your Android (iOS version coming soon!). 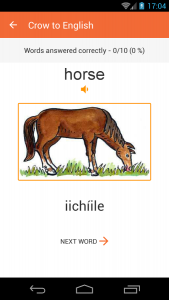 Developed by the Crow Language Consortium, the app allows you to quiz yourself everyday to learn different categories – wild animals, food, weather and more! > More than 350 words! Whether you are learning on your own, or taking a beginner’s Crow class, Crow Vocab Builder will help build your confidence in using new Crow words. Android installation instructions: Download the app to your Android device. When you open the app, click “Download New Words”. You will see a screen showing the progress of the download that says “Downloading Database”. On some versions of Android, the download may stall at 50%. In the case that this happens, simply restart your phone and the app will be ready to use. *We would like to thank Melvin Stops, who helped with the recording of this app.